Moving is such a hassle. You find out who your real friends are (hint: they’re the ones that will help you get a couch down from a third floor walk-up), and you have to decide what’s getting packed, what’s junk, and what qualifies for the yard sale. Of course, for moguls like Oprah Winfrey, moving is a lot easier. Everybody is your friend, nothing is junk, and you don’t have yard sales—you hold an auction. 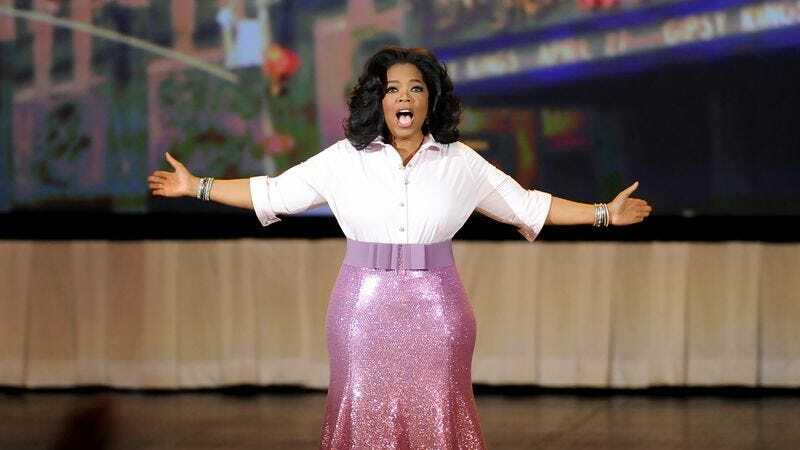 Oprah is clearing out her Chicago-based Harpo Studios to transition to her OWN headquarters in Los Angeles, and is vacating her condo as well. And because Oprah’s old stuff consists of nicer things than an old Cuisinart, a “barely used” Bowflex, a Sports Illustrated sneaker phone, and a tastefully curated collection of VHS tapes, Leslie Hindman Auctioneers will be facilitating an auction of the contents on April 25. Proceeds from the auction will benefit The Oprah Winfrey Leadership Academy Foundation, which supports the education of female South African students at universities in South Africa and the U.S. According to the auction’s web page, the auction spans “500 lots and includes English, French and Continental furniture and decorative arts, paintings, prints, drawings, porcelain, crystal, silver, memorabilia, clothing and accessories.” Fans of Oprah’s decor with deep pockets can peruse the lots during a preview exhibition from April 16 to 24.